What's a coop? You'll find out! Our bookstore doesn’t actually have the word “Book” or “Store” in its name. In fact, it’s not even just our bookstore, we share it with Harvard. What’s it called? The Coop is an enigma wrapped in a riddle. For one, it’s housed in multiple buildings (I know of at least 3). The Harvard Coop sells Harvard stuff, the MIT Coop sells MIT stuff. That makes sense, what doesn’t make sense is the pronunciation. How would you pronounce it? I, forever, thought it was pronounced Co-op (rhymes with low hop). I got to MIT and all of a sudden everybody was pronouncing it Coop (rhymes with hoop). I’ve never told anybody this, but I spent the better part of 3 months agonizing in my head why it would be pronounced Coop instead of Co-op. Co-op just made so much sense! MIT and Harvard work together for their bookstore, joining in for a cooperative effort. Also, The Coop is based off of a cooperative business model. Each student gets a Coop Card and essentially buys into the bookstore, getting a refund at the end of the year equal to 7% of everything they buy. Why is it pronounced Coop!? Well, at Harvard, it isn’t. It’s pronounced Co-op. You know what that means? That means we have a bookstore that doesn’t have the word “book” or “store” in its name, is located in 3 different places around Cambridge, sells different merchandise at each store, and is pronounced two different ways depending on where you go to school. It makes one wonder . . . But enough of that, on to the important stuff. The Coop at MIT is one of my favorite stores. If you ever need anything MIT related, The Coop is the place to go. The store can be divided into three main sections: Books, clothes, and dorm stuff. 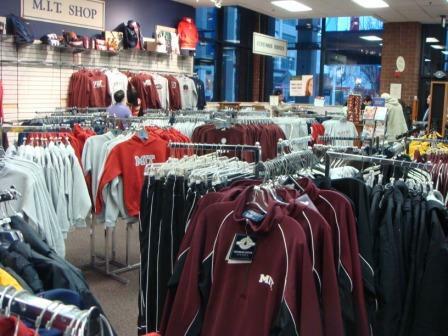 Check out how many jackets and sweatshirts they have! Oh, um, I should probably mention, I forgot to take pictures of the actual books at The Coop. What else is there to spend all of your hard earned TechCash on? How about a leather portfolio? They also have some neat presents for friends and family, like this spiffy IHTFP pennant. 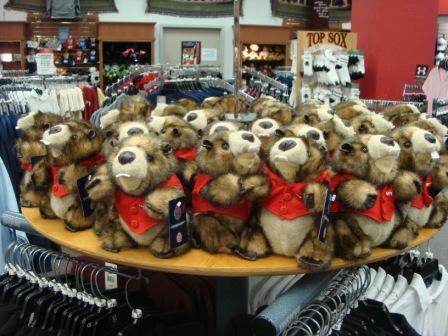 or an entire display of stuffed beavers! They sell all the software staples like Adobe and Mathematica, board games, puzzles, food, and other goodies like that as well. It’s also air-conditioned, which is a definite plus (and not always a luxury students get to enjoy). I’ve been known to spend an hour in The Coop and walk out with an armful of new toys and a guilty conscious due to my compulsory need to spend TechCash on neat stuff! I remember one day I walked out with a Scrabble board, 2 Rubik’s cubes (Revolution and greyscale), a dog bone, and Christmas ornament.  Luckily, if you’re interested in buying a bunch of MIT gear and you don’t have access to campus, they have a website that you can peruse. What’s your favorite thing on there? What would you buy? Aaaaaah ! Beaver attack !!! 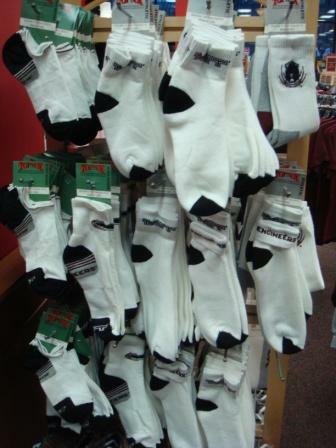 By the way, I now know why MIT gives so much financial aid, they make theur money from the MIT accessories and apparel ! Oh that’s smart ^^ . Isn’t coop that rhymes with hoop the correct prononciation ? I thought it was, since “oo” is suppose to rhyme with “hoop”. Or maybe I’m just weird. paul, karen, laura, mitra, jkim, chris, derrick, melis, anthony, lulu, evan and keri are the best. Awesome post! I have always wondered how it was pronounced. I love college bookstores. Again, congrats on the blog job! ..looking forward to future posts! Awesome, the Coop. MIT always does things differently. Simply Awesome. Hey Snively, why don’t you give us the next blog as something related to the Chapel? Omgg!!! 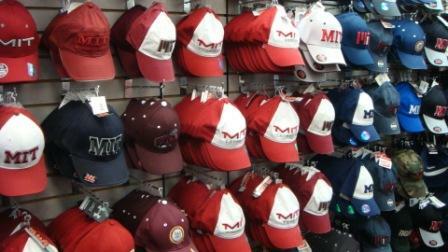 I want MIT-related merchandise!!!Now~!! Hey Michael! any idea whether The Coop offers international shipping of items?? (at whatever extra cost!)?? Same question then Nihar, but without the “at whatever extra cost” (^^’) !! 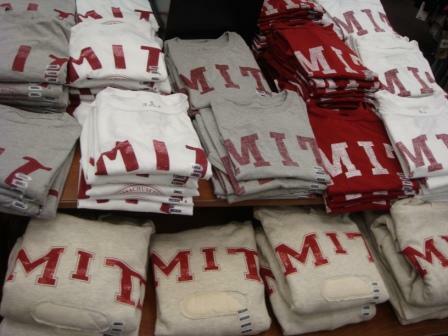 An MIT sweater during the Harmattan would be nice..
Do MIT students wear a lot of MIT gear? or is that kinda weird? They do provide International shipping! I just bought three awesome shirts!! But the thing is…they havent mentioned the shipping cost anywhere in the bill.I guess it just turns up when the credit card is charged…..anyway..m all psyched to receieve my first ever MIT apparell!! You have to mention the friendly staff too. When I visited in November and bought myself a MIT sweater, they asked if I was a student there. My response was a slightly embarrassed “no.” At which they wished me good luck with the applications. None of the other college bookstores did that. LOL I want the IHTFP pennant, haha. Actually, I don’t want it yet – I will wait until I am suffering through my first bunch of MIT finals next year! Anyway, it is pretty funny that you first thought of pronouncing “Coop” as “Co-op” – I have been hanging around Harvard Square/Kendall Square for a very long time and only found out about a year ago that the stores are called “coop” because they used to be the MIT/Harvard Cooperative something or other. I am impressed that you thought of that first thing. But I am pretty sure people usually say “Coop” like hoop anyway. FYI, all, the physical locations of the COOP sell more merchandise than is available online. 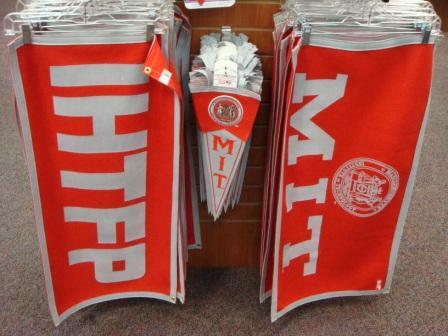 This might be obvious when you can’t find things like the IHTFP pennant or the stuffed beaver online, but it is also true of some things you’d expect to see online .. like MIT MOM and MIT DAD merchandise (with the strange exception of hats, which are online). After getting my acceptance, I wanted to get MIT <PARENT> shirts as a token of thanks for everything they did to help me along the way. I couldn’t find any online, I emailed a Coop employee and was told there was none .. I didn’t believe them.. so I called a friend who is a current frosh and had her buy these things from the Coop in the Student Center and bring them home with her on Christmas break. So, they do exist! In Short: if you can’t find something you’d expect online, you’ll just have to wait until you are on campus..
oh all the things I would do to be able to give my parents that MIT shirt in March..
AAAHHH! I get my shirt tomorrow! It’s the black one with the “New!” “Contemporary!” MIT design (those are the exact words the Coop used). How scandalous is it to wear college gear from one college at some other college? Does it really just depend where you are? Hmm… I can’t find bumper stickers on the COOP website. Does that mean I have to wait till CPW to get one? Ehh… My car needs one! Anonymous @7:49: Because they assume any girl who wants to wear it just isn’t feminine enough to wear a babydoll t-shirt. This is also why I don’t own one. BWAHA the COOP. I love that store. Conveniently located near East Campus, too. OH MY GOSH THOSE CUTE LITTLE BEAVER STUFFED ANIMALS… *VIRTUAL HUG*!!! My favorite thing: a stuffed Tim. (In fact, I love them so much that I already have one). Overall, AWESOME POST. It’s definitely one of those tidbits of MIT life only a student can tell! As for how scandalous it is, I always do a silent “wtf” when I see a shirt or sweatshirt from another college here, but that’s just me. I’m not sure how others react. 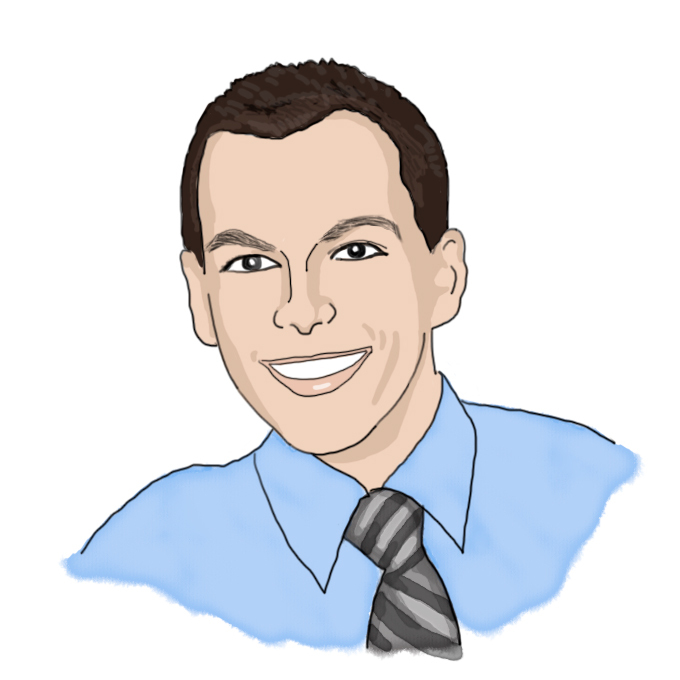 I’m sorry, although I like programming, I’m not actually EECS, I’m MechE. I even have a hard time finding bumper stickers here. I ended up having to buy window clings, but I’ve seen bumper stickers around so maybe only special people can buy them. BTW; tell me they have MIT bottle openers offline. Only for those who are of legal drinking age, of course. OMG!!!! 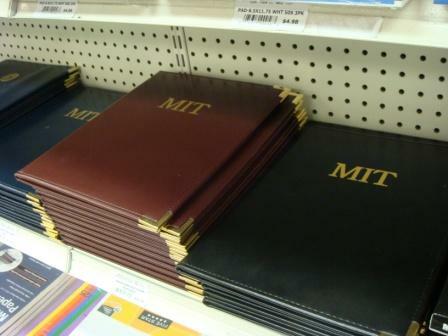 So MUCH MIT stuff!!!!! Can’t wait to get there and buy one of everything they have when i go to CPW!!! Love the beavers, they look so cool!!! I always wondered how the Coop looked and all the stuff they had (its not the same experience on-line) and now you put pictures up. Thank Snively!!!! Co-op is short for Co-operative store. A very interesting post. Besides studies you need to buy books and all stuff for yourself. So sharing something like The Coop is definitely a new information about MIT’s way of doing things and the name just suggests that. 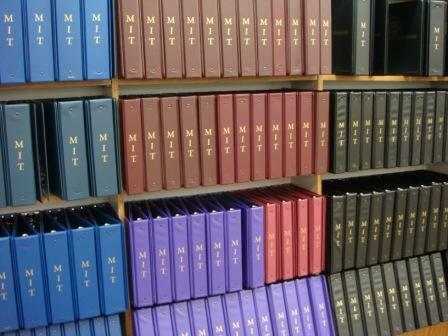 I would like to buy an MIT sweatshirt. And a portfolio as it looks very elegant in the pic. I figured out the MIT math equation shirt the first time I saw it–I hope I’m admitted just so I can wear one of those. Thanks for shedding some light on da ‘coop’ versus co-op thing. I have myself wondered about it for a while now. I used to call it da ‘Co-Op’ until my child started attending MIT and started to redicule me for mispronouncing it. By the way, I love the Coop. I make it a point to spend some time there every time I visit MIT. I just wish they had a better selection of winter coats and T-Shirts. The Cornell store has some awesome collection of jackets/coats. In fact I bought one during my last visit to Cornell even though no one from my family goes to school at Cornell. This post proves once again how beneficial mitadmissions is in providing a good depiction of MIT life. Great job snively. Tell me…why don’t they make the Maroon MIT Math Equation T Shirt in women’s sizes!? So you thought it was pronounced co-op…You gave up your cover! I bet that’s the way to tell between a Harvard student and a MIT one, so you must be a spy! I’m hoping it’s natural to want to buy all that stuff. I have a MIT pen at home, and no one is allowed to use it but me. I’m selfish like that. Great to read about the Coop. Back in my days (1977-1981) the MIT Coop sold records/LP’s (i.e. analog CD’s). The coolest thing about the Coop was they had CREDIT CARDS, which allowed me to buy way too many records. My first month’s bill was a whopper, I got a job, and spent the rest of my freshman year paying down my initial Coop balance. When I visited the Coop with my daughter (applying for Fall 2008 admission) over the summer we visited the Coop. A bit smaller with no LP’s, but still extremely cool compared to on-campus stores at other schools in our travels. E/c^2 (-1)^1/2 (PV)/(nR)…….duh..it was simple..got it..yay..”MIT”! My MIT Mom T-shirt was my favorite Christmas present! But I note that Harvard has a whole line of proud family clothing on the website sweatshirts, long sleeve shirts etc. Why doesn’t MIT have more? We MIT parents are just as proud of our progeny as the folks at the other school in Cambridge! How about it Coop?